Here are some facts about Edith Cavell. Edith Cavell was born on 4th December 1865 in Swardeston, Norfolk. She trained as a nurse and was made matron at a nursing school in Brussels. In 1910 she founded the Belgium nursing journal L’infimiere. Edith Cavell was visiting her family in Norfolk when World War 1 started. She returned to Brussels and discovered that the Red Cross was using her hospital. By November 1914, German forces had occupied Belgium. Along with several others, Edith Cavell helped British and French soldiers, and French and Belgians of military age flee German-occupied Brussels. She was arrested by the German military police on 3rd August 1915. She was found guilty of helping Allied soldiers escape to Britain, a country at war with Germany, and she was sentenced to death by firing squad. 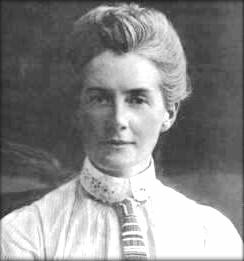 On the night before her death, Edith Cavell said to the Reverend Stirling Gahan: Patriotism is not enough, I must have no hatred or bitterness towards anyone. On 12th October 1915 at 7:00 am Edith Cavell was executed by a German firing squad. She was buried next to St Giles Prison in Brussels. When World War 1 was over, her body was taken to Westminster Abbey for a memorial service, and then to Life’s Green in the grounds of Norwich Cathedral, her final resting place. Memorials to Edith Cavell can be found all over the world, in countries such as: England, France, Australia, Belgium and the United States. In 1940, Adolf Hitler ordered the Edith Cavell memorial in Paris to be destroyed. Many schools, streets and medical buildings have been named after Edith Cavell. What next? Discover more facts about World War 1. This makes our History Controlled assessment interesting !